For local business owners these studies confirm that a mix of internet business marketing strategies work best. One platform is not enough to “seal the deal”. The mix should include at the very least an RSS enabled “responsive” or mobile friendly website, with social media integration, and a foundation in SEO (search engine optimization) for search marketing. Platforms including mobile marketing, email marketing, video marketing, and social media marketing round out the complete package in 2017. Whatever the platforms, they should be customized to your specific business. It’s not a one size fits all strategy. What works for one type of business does not work for all. The good news is that that’s exactly what we do at e-Edge Marketing so you are in the right place. We can help you find the right mix of online business strategies that will “fit” with your company and your specific needs. We specialize in getting your business found online by the local people who are already searching for your product or service no matter how they are searching. 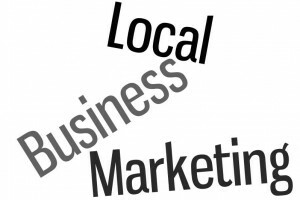 What’s different in Local Business Marketing? What’s Shaking Things Up? Consumers are using searches for products and services earlier in the buying decision process. For the business owner, this means it’s important for your website to give your website visitors the ability to research your brand as well as the services and products you provide on both large screens and small. Make as much interactive as possible. Google has been heavily favoring mobile–friendly websites since they updated their algorithm in April 2015 and again in March 2016. It’s also very important to provide your business information to listing pages such as Google Business listings, Yelp, and other authority website listing pages. Information on your website such as your business hours and directions to your location should be front and center. Don’t make them look for it! A business should use their site to stand out among their competitors. 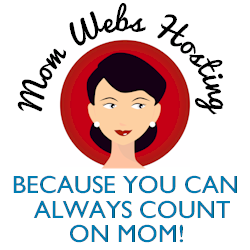 Offer special deals, seasonal specials, and/or coupons to website visitors. Testimonials, ratings, reviews, and interaction are more important than ever! These things not only build customer relationships but strongly influence buying decisions. Business owners who interact with consumers are not only building trust and awareness of their brand but can also see from the consumers point of view how their business stacks up and is being perceived by their target market. They then, have the ability to interact directly with consumers when the customer has had an experience that needs personal attention. The question today isn’t whether your business needs to be online, the question really is how do you get your business found online? The answer is with an experienced marketing consultant who will help you obtain rankings in the search engines (primarily Google) manage your search marketing and other internet marketing strategies that will get more leads to your business, convert more visitors into buyers and ultimately increase your bottom line. Today, mobile has become a priority for any business. Smart Insights says – The implications are clear – if you’re not able to reach your audience through mobile search or display, or you’re not providing a satisfactory mobile experience you will miss out compared to competitors who are. The average U.S. consumer spends a whopping 5 hours a day on these devices. That is a 20% increase in time-spent compared to Q4 2015 ~ According to the latest (2016) Flurry report. Is your website mobile ready? Is it optimized for voice search? 80% of internet users own a smartphone.38% of those who search for something online in their local area, follow up with a phone call to the business. 40% Of Mobile Searches Have Local Intent and of the people searching the local market for a product or service, they are using the internet as their main source for finding local businesses to do business with. This number continues to grow. Just eight years ago, this number was only 26%. 46% of them follow up with an in-store visit! This percentage is up from 34% last year. 69% of those who research online for a product or service make a purchase based on what their research found. Mobile marketing is fast becoming a “must” for businesses as the young, technically savvy, college graduates enter the marketplace. This group uses mobile devices such as smart phones and tablets as opposed to desktop computers and even laptop computers. The mobile audience for local content grew 51% in the last year alone and is predicted to continue to increase over the next 5 years. Website magazine reports that we all know that the mobile Web is experiencing an explosive growth spurt right now, but few actually predicted these kinds of fireworks. Local business owners should be prepared for mobile as most experts agree that this is just the tip of the mobile marketing iceberg. As business owner find themselves needing to compete harder to grab people’s attention, and attention spans growing shorter and shorter, video has become a strategic part of online marketing. Video is no longer considered an “up-and-coming” marketing tactic — it’s here to stay and it’s a powerful! It helps you to communicate with your market, tell your business’s story, and build relationships with your customers and prospects. Including video on a page where you ask your website visitors to do something such as sign up to your newsletter or email list, buy something, or get more information, that the use of video can increase your conversion rates by 80%? 1/3 of all online time is spent viewing videos? 92% of mobile video consumers share videos with others? 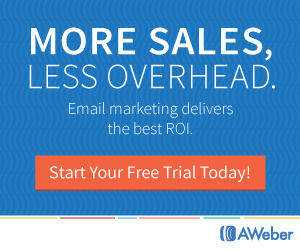 Using video in an email increases the click-through rate by 200% to 300%? 36% of online consumers trust video ads? Seems pretty much a no-brainer doesn’t it? Video marketing, specifically video marketing directed to mobile devices users is imperative to your local business marketing strategy. Internet savvy local business owners know that getting their products and services found online will generate more sales and exposure for their business than any other form of advertising. If you are like most local business owners, things have probably changed since you launched your website and if that is the case, it’s probably time to review what changes need to be made to not only stay current with what’s new in design but more importantly, to integrate a local marketing strategy into that design. With that said, Don’t Be Duped! You might be tempted to build your business’s website yourself. Don’t do it! Without knowing and understanding SEO, how to make your website mobile responsive, online lead generation methods, and how other local marketing strategies fit into your website, you’ll do more harm that good. Further, there are plenty of really good website designers out there who are willing to build a website for your business who simply are not qualified either! Keep in mind that the design of your website is merely one aspect of your overall website development and while it’s important that your website look good, it’s certainly not the most important aspect. Don’t make the mistake of wasting your valuable marketing dollars on a website that will never be found by those who are searching for your products and services. Web designers are not trained in marketing and most either don’t know or aren’t current in Search Engine Optimization (SEO). You need your site designed by someone who is knowledgeable about Search Engine Optimization, is an expert with mobile search technology, can help you make use of video marketing, and is able to develop your marketing strategy around the needs of your specific business. For a free no-obligation consultation with one of our certified internet marketing consultants who can help you get your business found online, call us today or schedule online here.